PAs are doing amazing work in their specialties. 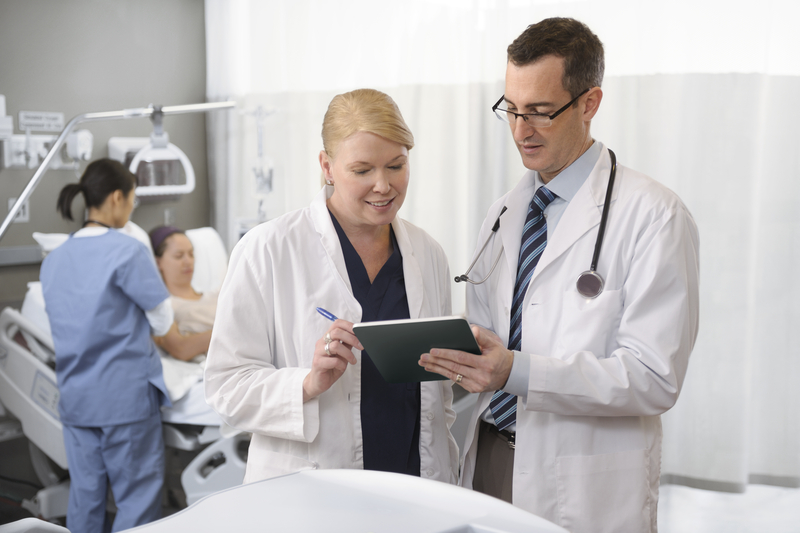 Read about your PA colleagues who have earned a CAQ, what they do and what their collaborating physician says about them. 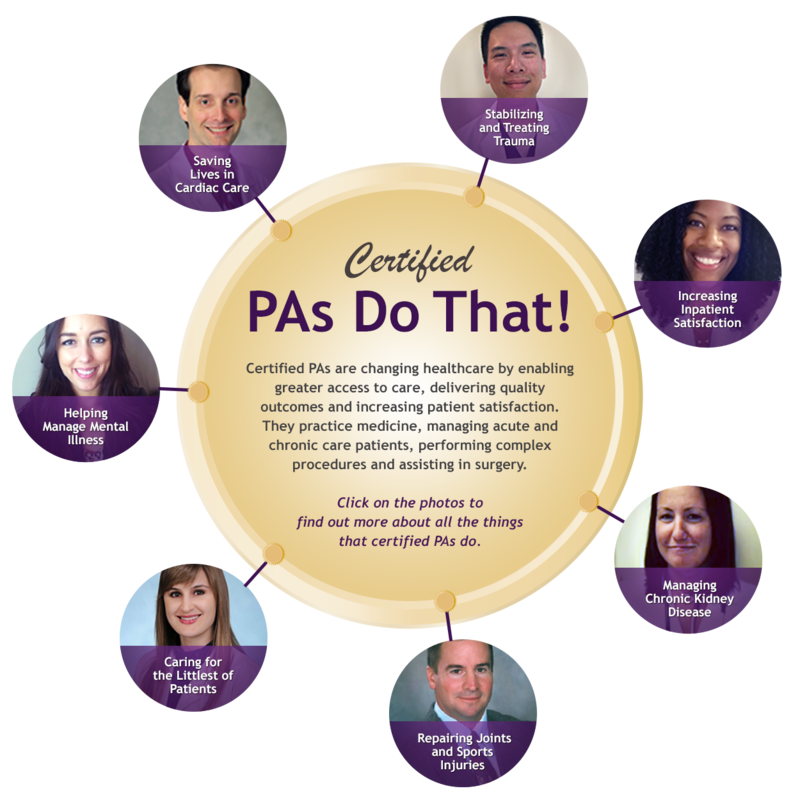 Certified PAs are working in every specialty and in every clinical setting. Click on the graphic below to read about certified PAs with a Certificate of Added Qualifications (CAQ)—a specialty credential that recognizes experience, CME, skills and knowledge in the specialty. Two certified PA earned two CAQs! Read why Lori Trout,PA-C, says that having two CAQs gives her "additional confidence to treat and manage the variety of patient cases that come through the door." Read why Chris Edelstein, MPAS, PA-C, says "Preparing for the CAQ keeps you on top of your game." Believing passionately that certified PAs are critical to the delivery of high quality, accessible, affordable health care, NCCPA is offering the CAQ credential in seven specialties: Cardiovascular and Thoracic Surgery, Emergency Medicine, Hospital Medicine, Nephrology, Orthopaedic Surgery, Pediatrics, Psychiatry. 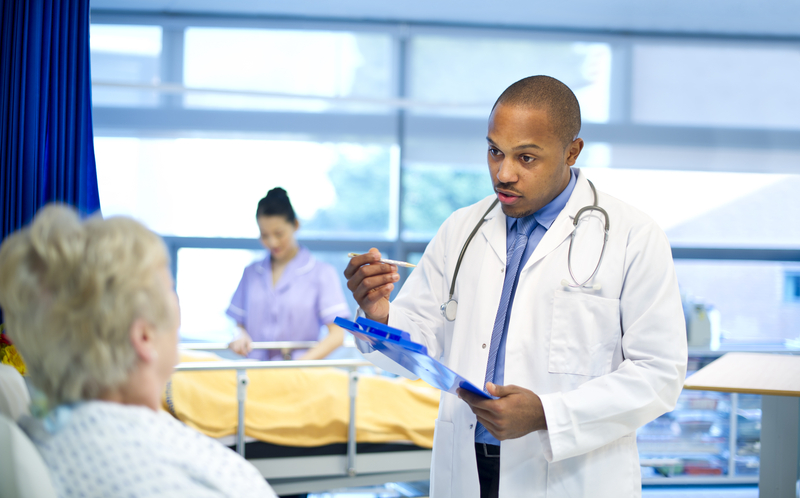 To earn a CAQ, a PA must be certified and licensed and have specialty experience, CME and a physician attestation. Then they must pass a rigorous specialty exam. Read about eligibilty requirements, registration and more. Read about the CAQ polices and procedures.